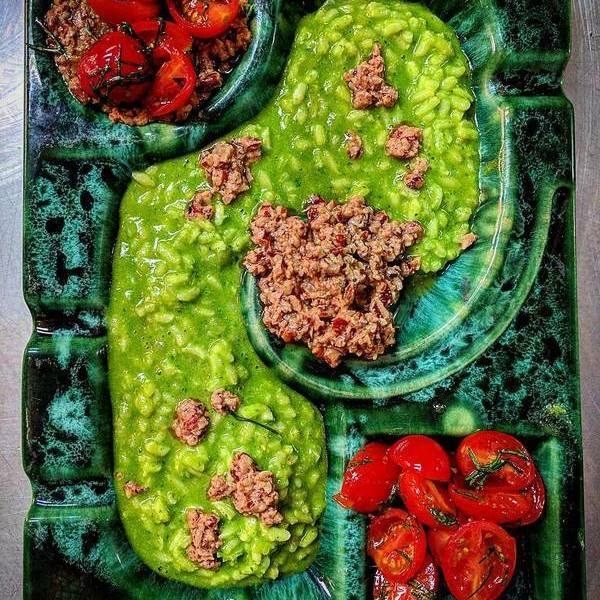 "Herb risotto. Walnut pesto. Tomato salad. #comfortfood Thanks to @fulhausinc for the Amazing plate!!" Spice up your dairy routine. We're talking sheep, goats, and nuts.